Our mission is to promote revitalization of the Memphis Riverfront as green space for public enjoyment, preserving its historic, natural, and aesthetic character. Finally, an entity planning our riverfront has acknowledged that the land along the river belongs to us, the citizens of Memphis. 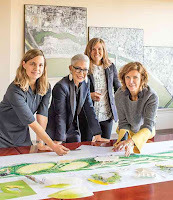 In their plans for a riverfront of connected parks, MRPP is the first to honor the dedication of the city founders. Thank you! Now we hope they'll do it right and truly involve citizens in the process - ask our opinions and really listen to our input before they make decisions. Link to "Flyer" article about new leaders and new plans, click HERE. & Friends for Our Riverfront, 2013. It is with great sorrow that we learned of the death of Bert Merrill in Sarasota, FL on Sept. 24. Bert was a founding member of Friends for Our Riverfront, sharing his deep knowledge of the river, engineering, and this community. Bert's commitment to public access and protection of the natural beauty of the Memphis riverfront was deep rooted. He was a member of the Chickasaw Bluff Conservancy, whose advocacy resulted in today's Bluffwalk. 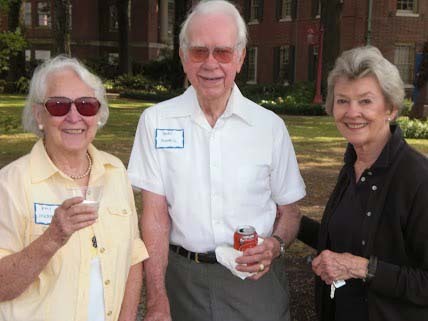 He and his wife, Patricia were also staunch supporters of their neighborhood, Sea Isle, and helped design and implement the neighborhood's lovely park. Here is his obituary from the Sarasota "Herald Times" and Memphis "Commercial Appeal," which includes information about his outstanding military and engineering career and his role as Dir. of Physical Plant and Planning at the University of Memphis. 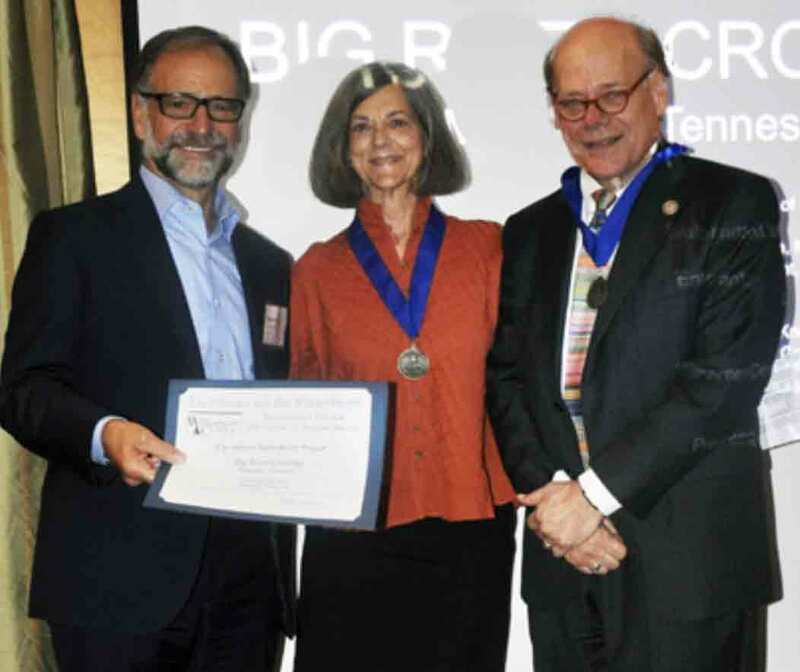 Last year the Excellence in Design Top Honor Award from The Waterfront Center went to our Big River Crossing! 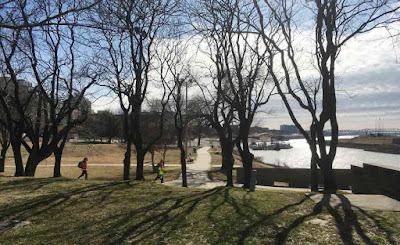 This year, Sen. Joseph Finnegan Park at Port Norfolk in Boston received the award. 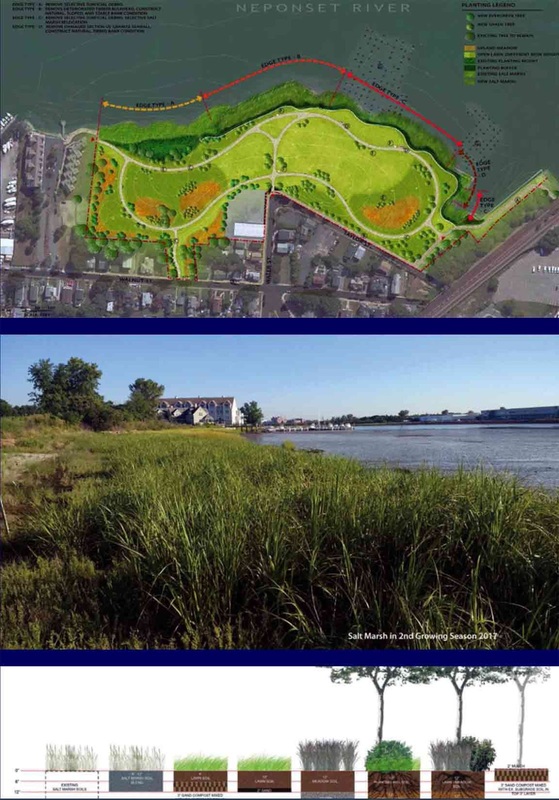 The park, created on once contaminated industrial land, links Neponset Greenway with Boston's Harborwalk and restores the shoreline to its native saltwater habitat. Click HERE for more on the exciting 2018 Excellence in Design Awards. 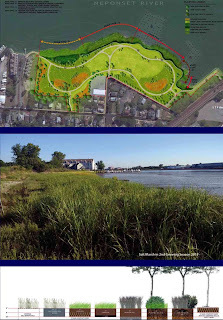 Click HERE for short powerpoints on each winning project: Willamette Falls Riverwalk Master Plan (Oregon City, OR), Newark Riverfront Park (Newark, NJ), Refuge Gateway and Humbug Marsh (Detroit, MI), South Waterfront Greenway (Portland, OR), Virginia Institute of Marine Science Campus Plan (Wachapreague, VA), The Wharf (Washington, D.C.), San Francisco Bay Trail Design Guidelines and Tool Kit, and The Billion Oyster Project (Governors Island, NY). As Carol Coletta becomes president of what was the Memphis Riverfront Development Corporation, it looks like there's been an important change in focus, not the least of which is its new name - Memphis River Parks Partnership. 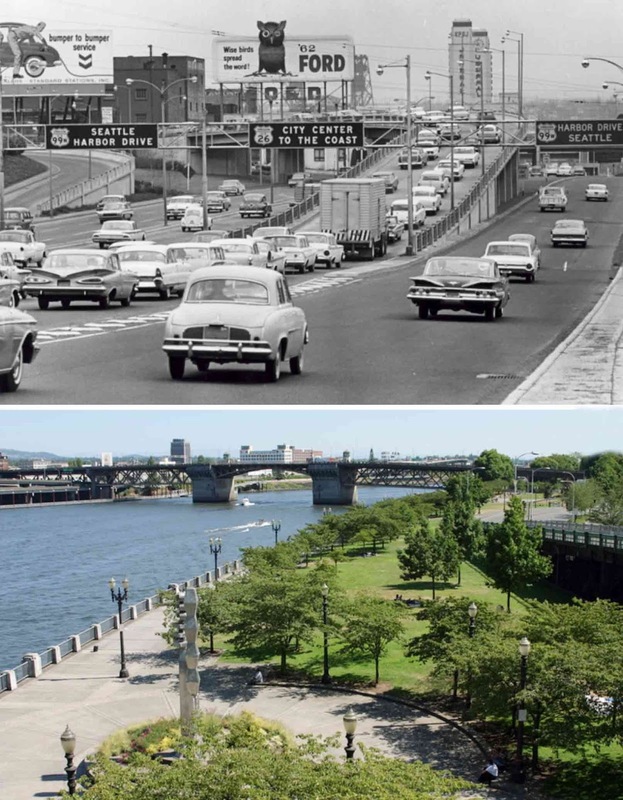 "Before & After" look from "Arch Daily" - 6 cities that built highways but have now transformed them into urban parks: Portland, Seoul, San Francisco, Madrid, Milwaukee, and Seattle. Click HERE . In Memphis, the story is different. In 1969, a plan for a 16-lane expressway along our riverfront was rejected, and, in 1971, a U.S. Supreme Court decision protected Overton Park from an interstate. 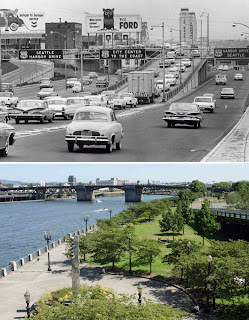 We escaped the full blow, and, yet, today, it's hard to get rid of the parking garages, lots, and interstate bridge ramps built on riverfront parkland. What's the best way to mediate Riverside Drive and slow down its traffic - reduce it to 2 lanes with a green median, close it, police it? Meanwhile in Overton Park, Memphis is heading in the opposite direction of major world cities; plans call for turning parkland into a bigger parking lot. "Now & After" illustrations show exciting changes ahead for Memphis's convention center! 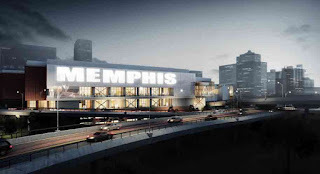 Posted on the Downtown Memphis Commission website today so that citizens can take a look and send comments, design plans for the $175M project will be considered by the DMC Design Review Board at their March 7 meeting. Take a look; we think you'll be impressed. Click HERE. City Council to vote on funding Tuesday. General obligation bonds to fund project; debt to be paid with revenue from hotel-motel tax and Tourism Development Zone money. What a beautiful riverfront we have! People starting to get out and enjoy our riverfront even in February on one of those early-spring type days. Would it be a good idea to reconnect Wolf River to Wolf River Harbor? In Memphis, most of us stay on the land, except perhaps for a riverboat cruise or a paddle in the harbor. 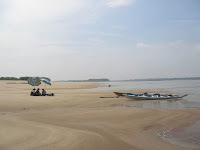 Historically we've been afraid of the Mississippi River. It's big and powerful, and, at Memphis water quality is not safe for swimming or for eating the fish we catch. But that's changing. Races like the Canoe & Kayak Race and Dragon Boat Race are getting more people out on the water. Groups, including the River Warriors, are tackling the trash. There's a plan to repair and encourage people to use the Cobblestone Landing, and now that the Wolf River Greenway has reached its confluence with the Mississippi, there's talk about looking into whether it'd be a good idea to reconnect Wolf River to Wolf River Harbor. 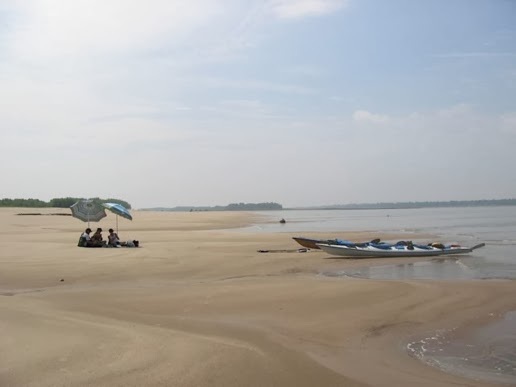 A picnic on one the pristine sandbars nearby and an afternoon swim can forever transform even the staunchest landlubber into a river steward for life. As Joe Royer, a longtime advocate for the River and recreation on it, says: people in the Rockies didn't level the mountains; they learned to ski and not only had fun but developed a huge new revenue source as they did it.